This weekend was a hot one, I’m talking hot for no reason hot. 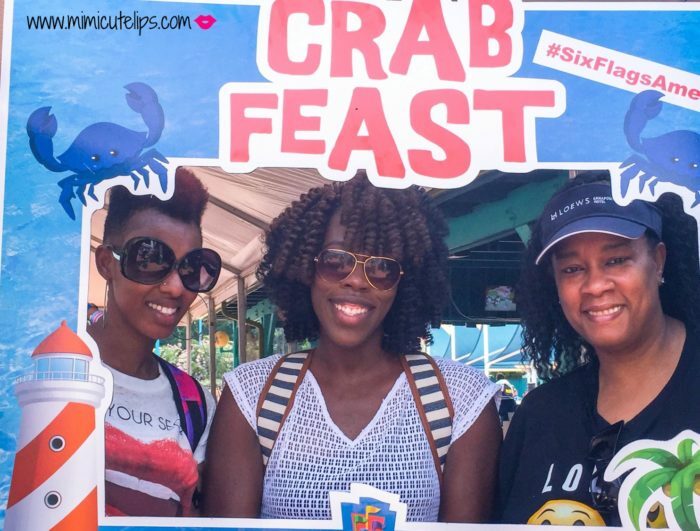 The dope folks at Six Flags invited us out for a day of fun at their Splashwater Falls inside Hurricane Harbor and a Crab Feast. Yes, they gave us complimentary entrance into the park and then fed us. It doesn’t get any better than this. I shared my roller coaster experience and y’all laughed at me. From here on out it is all water park all the time. I kept this a surprise until the night before; my kids would ask me about it daily otherwise. In the name of sanity this is the best way to handle things. 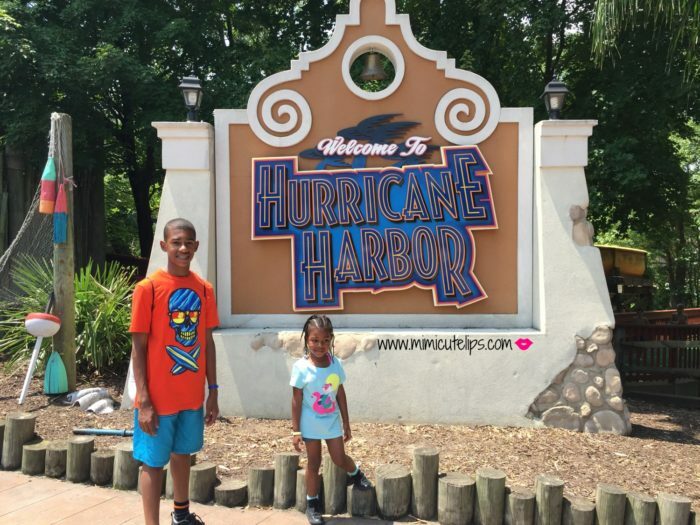 My kids have never been to Six Flags, this is the first amusement park my daughter has been to that she can remember. They always do a great job of building the suspense with the signs. The kids got a kick out of finding the next one. We were greeted by this nice young lady and this scary guy. My daughter was not pleased, she lost it immediately. He does look creepy right? 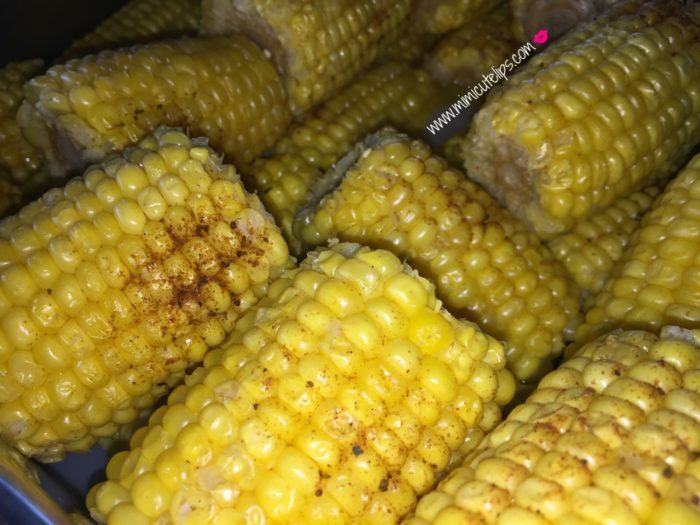 Because corn goes well with crabs. Giving my son a lesson on how to open a crab. All these years my son has only been eating the crab legs. Now that he has this man-size appetite he need more than that. His Dad and I gave him a crash lesson on how to open and eat a crab properly. We enjoyed corn, crabs, fried chicken, pulled pork, watermelon and cookies. Now it is time to check out the Splashwater Falls. 3 out of 5 Bloggy Boo’s were there. Six Flags America is debuting new interactive play area inside their water park, Hurricane Harbor. 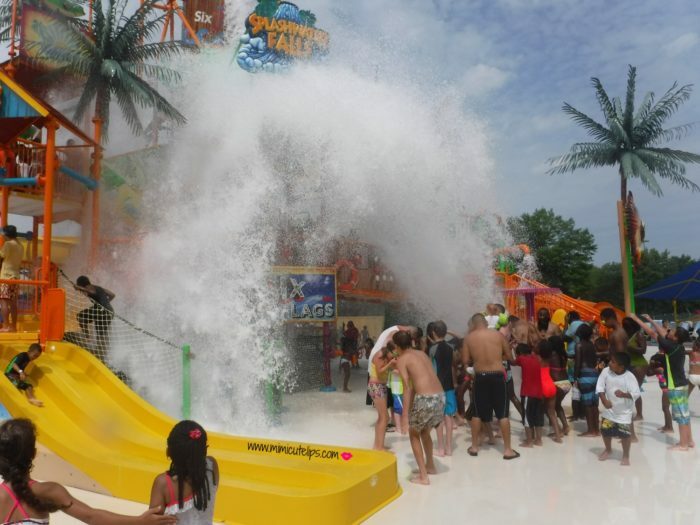 Splashwater Falls is a multi-level play structure that has more than one hundred features. Kids will climb up ladders, swish down open and enclosed slides, and navigate varying platforms. You can stay cool by playing under waterfalls, spouting geysers, and spraying fountains. A super-sized tipping bucket sits atop the huge play structure dumping water on everyone underneath. This thing was popular, let me show you how it works. We dropped out items on the lounge chairs and got right to it. You can see the spouting geysers to the right and the tube slides to the left. I tried to catch the bucket dumping in actions so you can see just how much water it is. My 4 year old is in this picture; she loved standing under the bucket dumping. She was all kinds of brave. The kids aren’t taking this “craft theme” a bit too serious. Don’t think this is a kids only type of deal. I saw plenty of adults getting in on the action with no kids in sight. After spending about four hours at Splashwater Falls we decided to check out the lazy river. Only I never quite made it because we went to the pool. The lazy river goes all around this pool. Babe and the kids checked it out while I took in some Vitamin D from the sun. This is my daughters first time with all of this water play. She made a friend and they had so much fun. They raced and played games, it was just cute to see their imaginations at work. While the girls splashed around me, I got some much needed R&R in. It suddenly didn’t seem so hot after all. My son enjoyed some of the other water activities geared towards the big kids. Now that he is older I can allow him to go on and explore a little bit. Controlled independence is what I call it. We had an amazing time, we look forward to coming back. 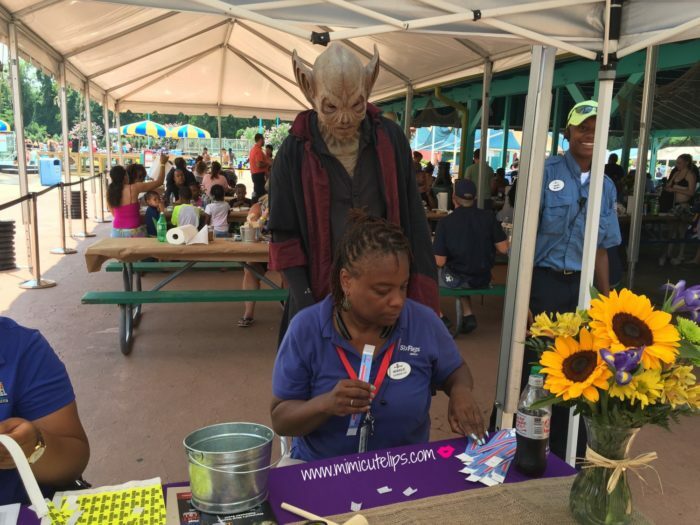 Thanks again to the fab folks at Six Flags for taking such great care of us. Family memories were made. 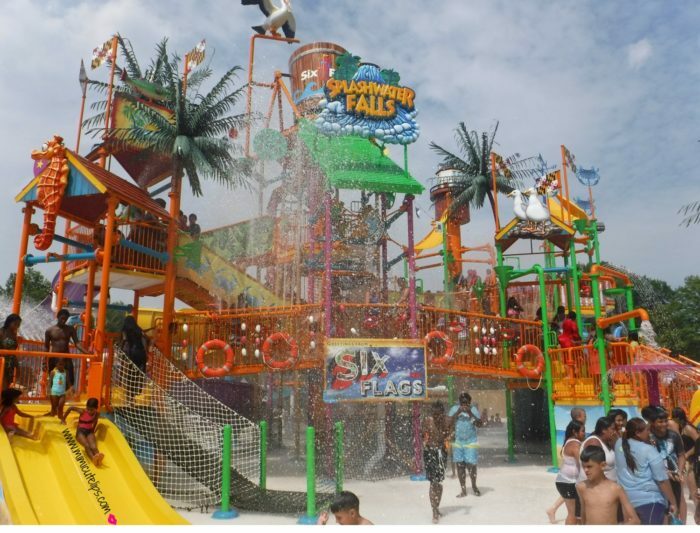 Do you enjoy water parks? Chat with me in the comment below or FB, IG or Twitter. I’m in love with your coverup and the price! Looks like your family had a fun day and the food looks delish. I love how you didn’t tell your kids about the outing in advance to avoid those neverending questions. Thanks Alli, I was so excited when I scored such a good deal. The family had a blast, it was a great way to disconnect yet reconnect with one another. I don’t tell them anything, I just say a surprise. Looks like so much fun ! And I love any and all water parks. The food looks great too ! Linda I’m with you, water parks are my favorite. I can’t hang with the other rides. I so want to go to Six Flags in NJ (that is the closest to my area). I keep telling my husband each year. I especially want to go during crab fest. I can see from your pics you all had a fun time. Anita you guys should go, you can ride the regular rides and do the water park. Girl I hear you! Now that is the best way to cool off! My kid has been begging me to go swimming but I don’t want to step one foot out of this air conditioning! I feel you Stacie, I’m that was too. I had more fun then I thought I would. I’m glad they got me out of the house. I want them to become more comfortable with the water so I have to take them. This looks like so much fun! I love Six Flags. There are always so many fun things to do. It was a lot of fun Lisa, we can’t wait to go back again. Sounds like an awesome time. 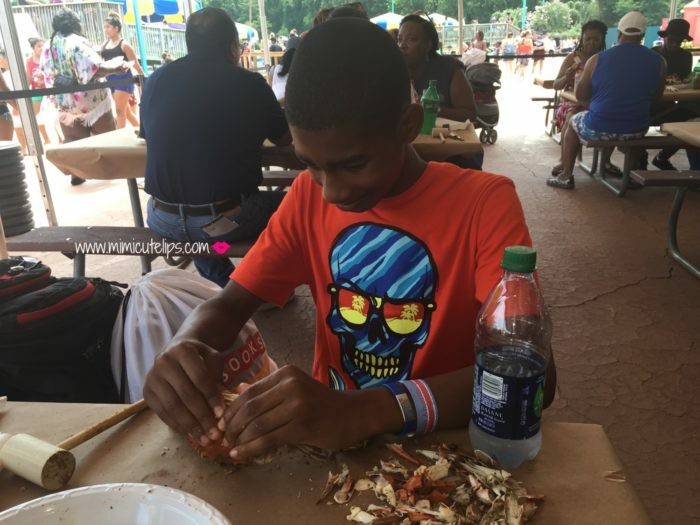 What could be better than a crab feast and a day at the amusement park? Right Pam, they had me at crab feast. Aww, what a fun time. 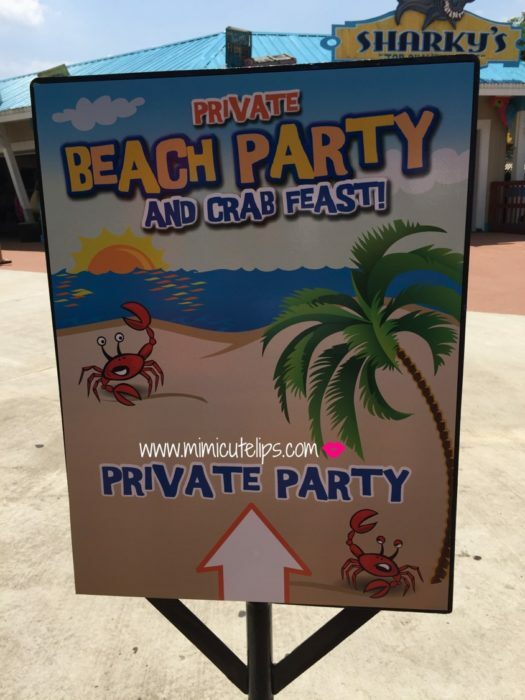 I didn’t know about the Crab Feast, how nice! It’s great that the adults were able to join in on the fun. The Crab Feast was a nice touch. I love when we can all have a great time. That looks like it was a lot of fun! I did not know Six Flags had something like this. 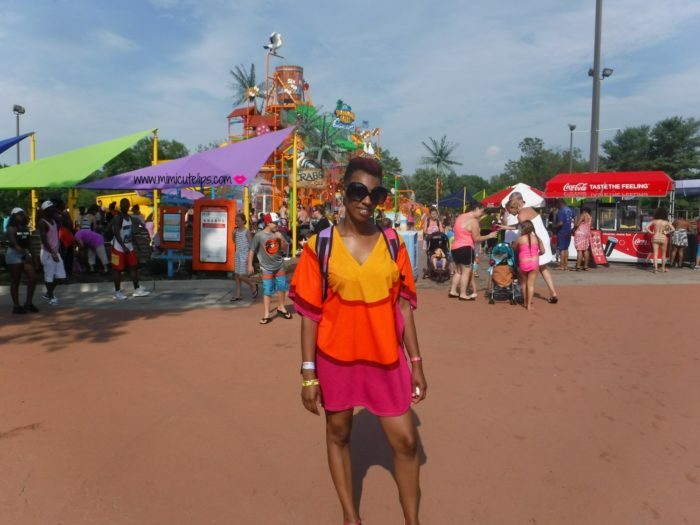 I cannot do roller coasters at Six Flags anymore but I can still do water rides and slides! I need to get myself over there! Jeanette I already shared my roller coaster fail. This is where it is at for me. 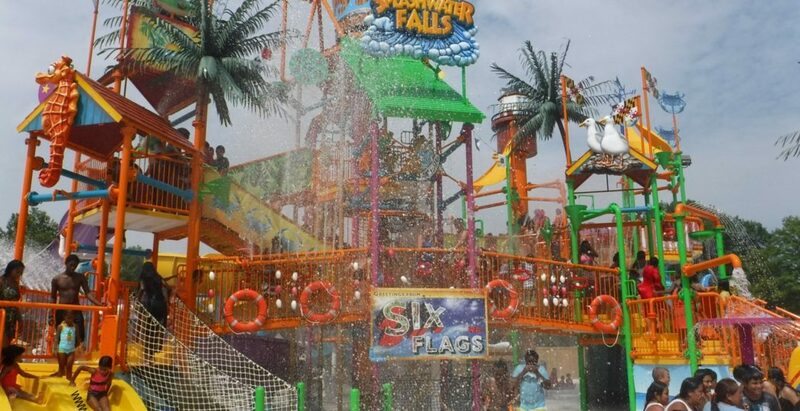 This looks like such a great place to experience, glad you were able to go to Six Flags America Splashwater Falls 🙂 Looks like a fun and refreshing time! Sarah refreshing is the perfect summary for our experience. That cover up is right up my alley! Financially fit and fab for sure! Looks like you all had an awesome time at the waterpark. Yes Tia, a high end look for way less. We had a great time. I would love to have my fill of those crabs! Yummy! 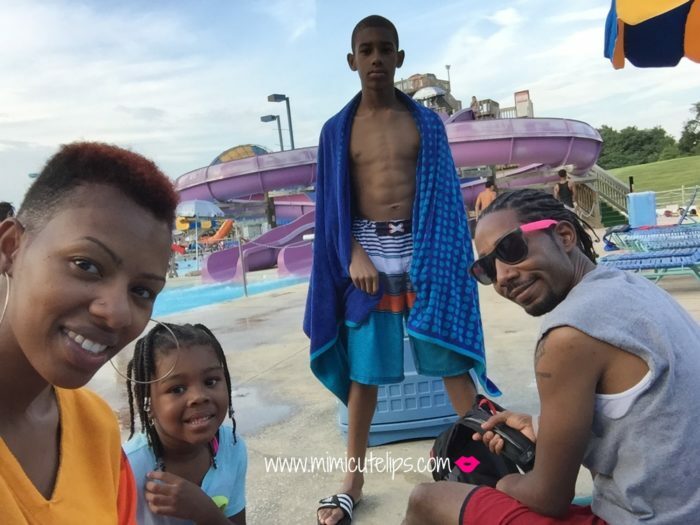 I am happy to know you and your family had a great time at the water park. 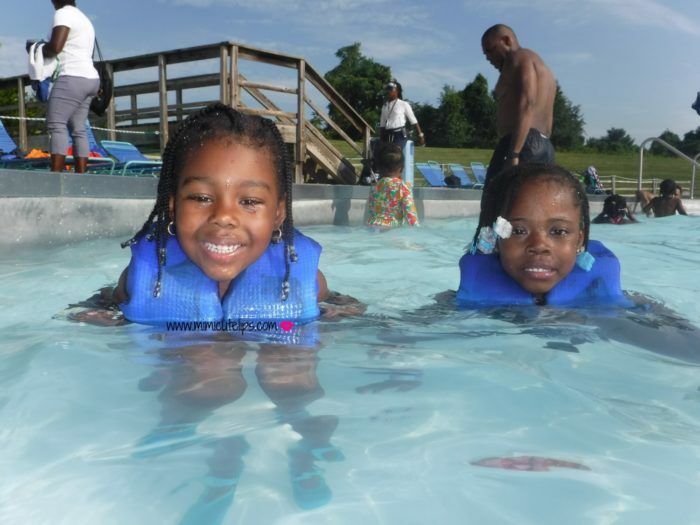 My grandchildren enjoy cooling off at water parks and it is a regular summer activity for them. BTW, your daughter is such a sweetheart! Crabs let you know that it is officially summer. Nice, water parks make it fun for all ages. Thanks. Kathleen, I didn’t realize they had so many things to do either. They won me over for sure. Hahhahaha, I don’t even know girl. They were walking around taking pictures with people. 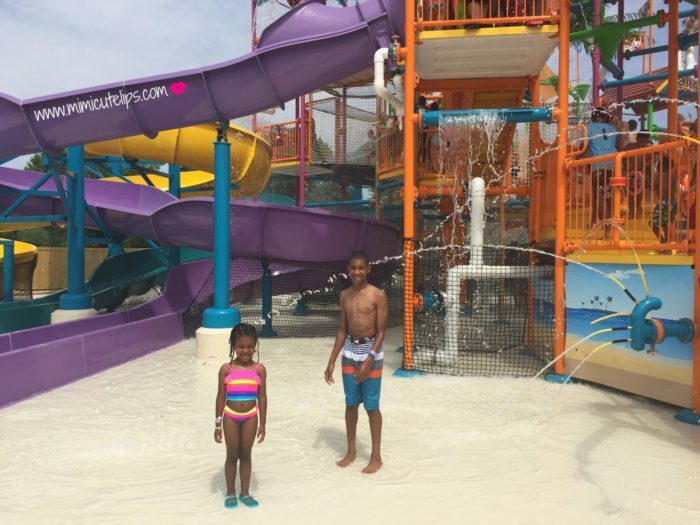 Water parks are so much fun – we make sure to go at least once every summer. We will have to check out this park, it looks like a lot of fun. That is awesome Bella, I need to make sure we do it as well. I haven’t been to Hurricane Harbor since hubby and I were teenagers. Gonna make it a goal to go in a year or two. Love the Marimekko sales. I’m eyeing a few pieces. We don’t tell the kids anything either because… questions. And lastly, the #fatsnacks once again got me salivating. I can’t lie, as soon as I saw the crabs I was distracted. I kept coming back to that photo drooling. 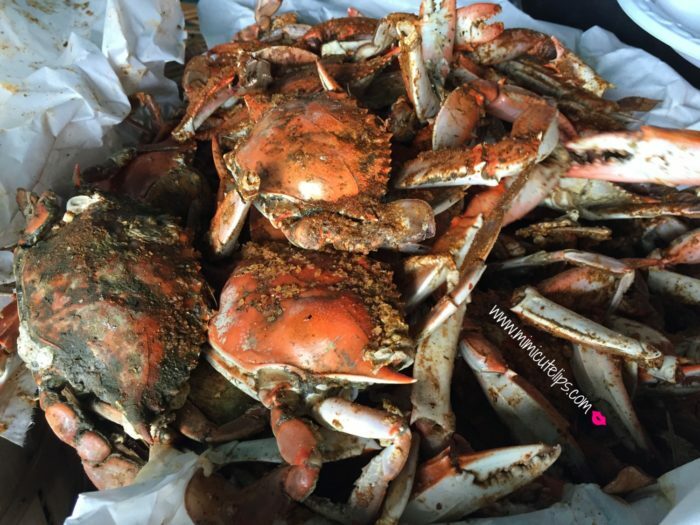 Crabs from the warf are one of the things I miss most about DC. ANYHOO! Looks like you guys had a lot of fun! I love Six Flags! I bet LaShawn, you need to come and get your fix because they are tearing the Wharf down. Glad you guys love Six Flags too. What a fun day! I love building great family memories with my kids like this! Me too Natalie, it is a great summer activity. I love when I can take advantage of having all four of us together. Oh my goodness this looks and sounds like so much fun! My kids would love to do something like this, and never want to leave! Right Jeanine, we were at the park for a long time and the kids still didn’t want to leave. The crab feast is enough to get me to go here! That’s for sure. But hey, how can you miss out on all the fun, right? I’m glad there’s so much to do here for the kids, it’s the perfect summer getaway for the whole family! Hahhaahhaha, you are my kind of girl Amanda. It really is the perfect summer getaway for the family. This looks like so much fun! I cannot believe they served crabs at the theme park. I love a seafood boil and this looks delish. I haven’t been to hurricane harbor in so long. I bet my boys would enjoy it too. Christy they totally would, they had so many things to do we didn’t even get to half of them. The Minis look so adorable, and I’m sure that had a blast! I love that place! Thanks, they are growing up so fast, they keep asking when we’re going back. That looks like a lot of fun. 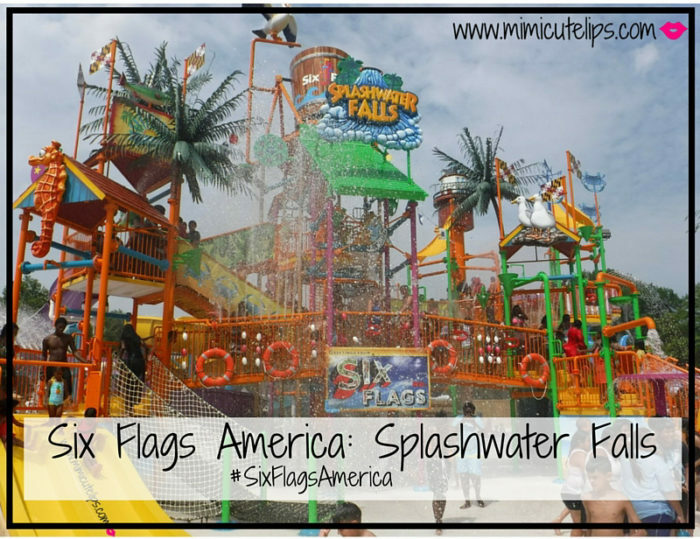 We have a water park near us that we visit on several occasions and it is a lot fo fun, so I could only imagine the fun you are having at Six Flags. Nice Dawn, I need to take the kids more often. Especially because it is so close. 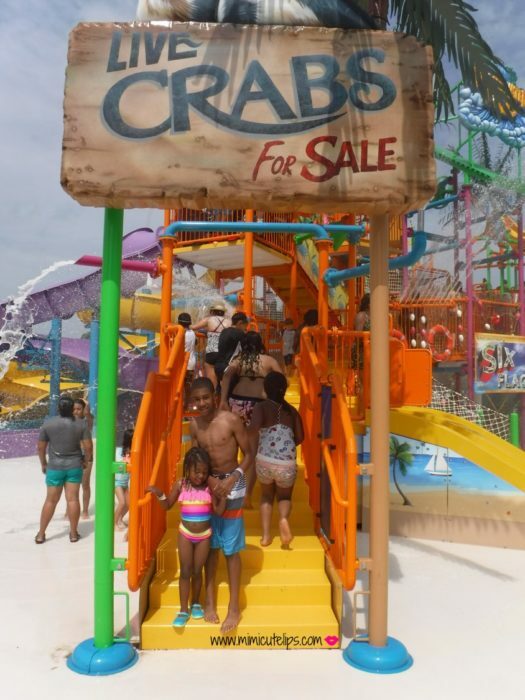 That is totally my kind of day – the waterpark and the crabs! And I totally hear you on the sanity issue, smart thinking mama. Ha, thanks Heather. That is like the mother-code. I absolutely love this recap! We truly had a great time! My kids are still talking about it! Thanks Christine, we really did. We must do it again. Looks like fun, I haven’t been to a water park in years. Jamila, it was a lot of fun. I took me way back. Sounds like you all had great time and lot of fun! The food looks delicious! 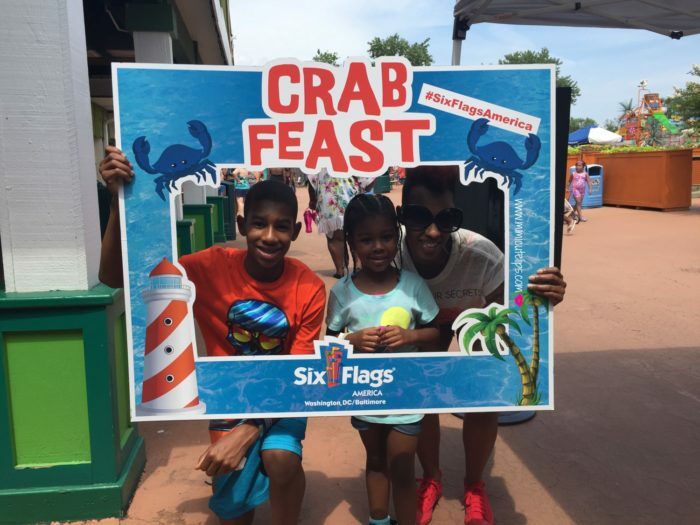 We have media days here at Six Flags too but we sure don’t have crabs!! MAN OH MAN they looked so good!! I sure you all had a blast. Awww man Bernetta, they need to get y’all some crabs. Looks super fun, and the food looks so good! I can tell everyone had a great time. You were looking hot out there in your swimsuit, it’s super cute! Thanks Kasi, I’m trying to keep it cute while eating a little bit of everything. This looks like it was so much fun. The food also looks amazing! It was really good Robin. First things first, you look FAB Mimi! Second, poor Nori lol. I’m glad her initial scare didn’t stop her from having fun. Then all that crab ..yum. Glad you all had a great time. Thanks Vashti. Girl I had to keep her calm and let her know she was safe. I’m so thankful it worked out because she was exhausting me.